Only yesterday I entered into a sci-fi short film contest judged by Benedict Cumberbatch and now I will be watching the Star Trek premiere with him — the whole experience is overwhelming. 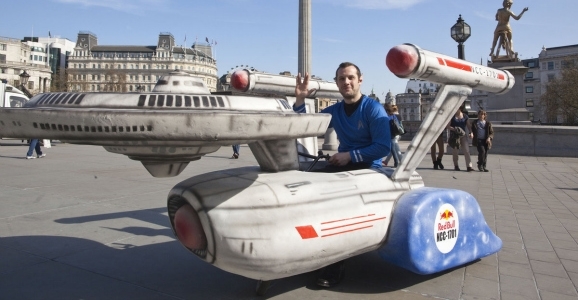 Now I can’t wait for the Red Bull Soapbox event, maybe some of the Star Trek cast will come down and cheer me on! Well, this is one of those stories where I had to double check the byline to make sure it didn’t include the words “the Onion.” It seems that a new book collecting essays about Doctor Who has called the show “thunderously racist.” Why? 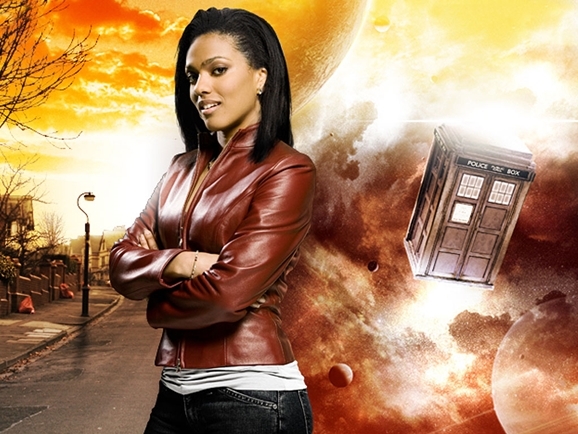 Because there hasn’t yet been an Asian or black actor in the role of the Doctor, and, according to Digital Spy, the book claims the Doctor is “dismissive” of his black companions. Is there a better way to spend Memorial Day than rewatching the Star Trek film franchise? It’s interesting to look back at Trek and think about how far it has come since it first premiered in 1966. Who would have thought a series that only lasted three seasons could spawn five spin-off TV series, 12 feature films, and a massive array of Star Trek merchandise? With the recent release of Star Trek Into Darkness, the people at JoBlo put together an impressive film tribute to the 12 movies in the Star Trek film series. The video above features three iterations of the U.S.S. Enterprise crew (OST, TNG, and Reboot), and many of highs and lows we’ve experienced throughout the entire Star Trek film franchise. No, this homemade Star Trek video wasn’t made in 1984. San Onofre Nuclear Generating Station (SONGS) in Southern California made the above video, titled “Songs Trek,” in 2010 as a training aid for their nuclear power plant. While the video depicts Captain Kirk, Mr. Spock, and a very, very light-skinned Lt. Uhura, the San Onofre Nuclear training video is stirring a bit of a controversy among environmentalists and the nuclear power industry. An unnamed employee, who felt the video was inappropriate, leaked it to California’s KGTV-TV news in the hopes of exposing SONGS. With a budget of $800, the leaked video was made in the San Onofre control room simulator, which stood in for the deck of the U.S.S. Enterprise. The training video was later shown at an employee recognition event. After the release of Star Trek Into Darkness last weekend, there was some controversy over the (somewhat) gratuitous scene featuring Dr. Carol Marcus (Alice Eve) in her underwear. While the scene was brief, the biggest sin against her character wasn’t the underwear flash, but rather her character being completely underwritten. Over the weekend, screenwriter Damon Lindelof tweeted an apology about the short scene. While director J.J. Abrams was making the rounds on late night talk shows promoting the Star Trek sequel film, he offered up a chance to even the score, or trade off objectifying scenes. Abrams introduced a deleted scene above from Star Trek Into Darkness on the late night cable talk show Conan that featured a bare-chested John Harrison (Benedict Cumberbatch) menacingly taking a shower on the U.S.S. Enterprise after Captain Kirk, Mr. Spock, and Uhura captured him on the Klingon planet of Kronos. There’s nothing cuter than watching a middle school musical version of Star Trek. Rhett & Link created a new YouTube video called “Star Trek: The Middle School Musical” that features middle school students “boldly going where no one has gone before”…with musical numbers. It’s very reminiscent of the type of stage plays the Max Fischer Players would put on in Wes Anderson’s 1998 film Rushmore. This Star Trek parody is hilarious and charming. It’s great to see kids get into the original Star Trek. The video’s production value is sharp, even though it tries to look cheap and DIY. They even figured out a clever way to “beam” onto planets during the musical.